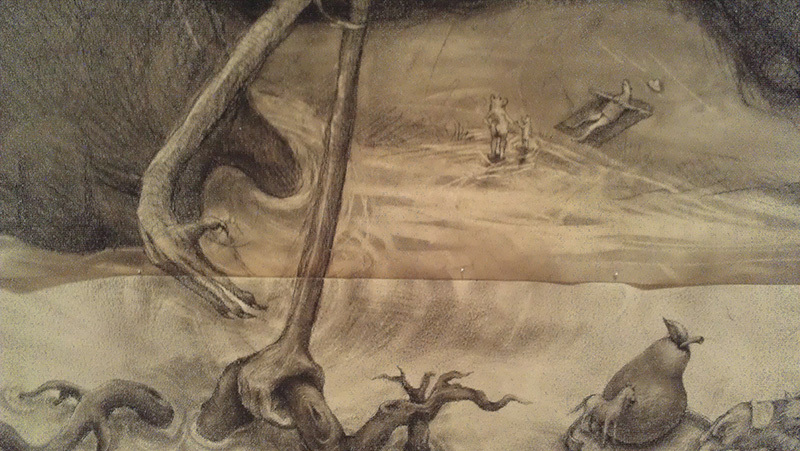 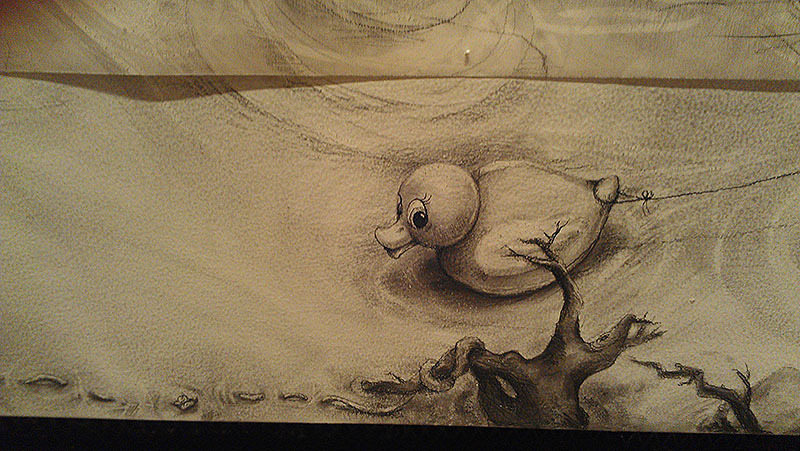 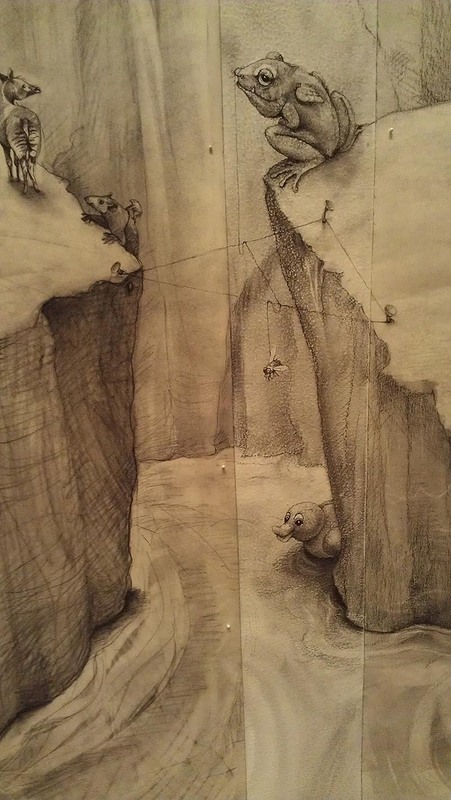 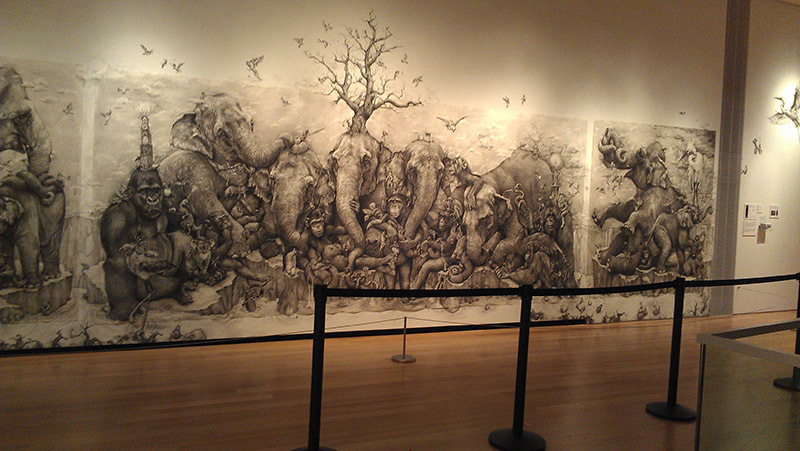 If It's Hip, It's Here (Archives): The 2012 ArtPrize Winner Adonna Khare And A Close Look At Her Mural. 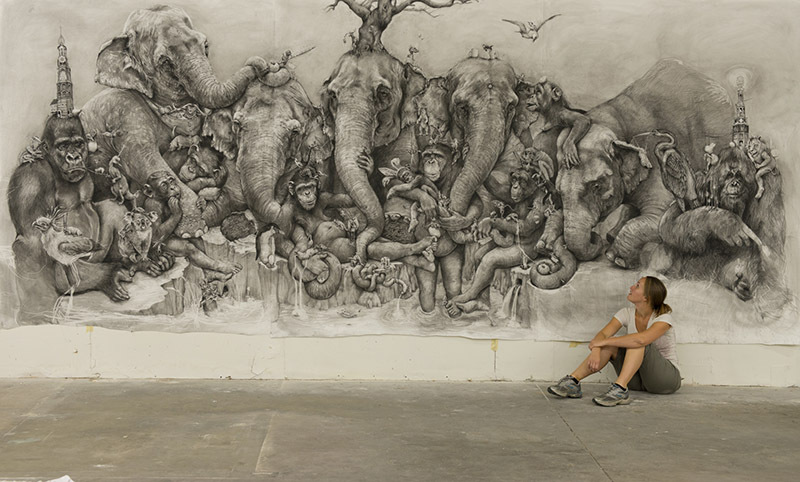 The 2012 ArtPrize Winner Adonna Khare And A Close Look At Her Mural. 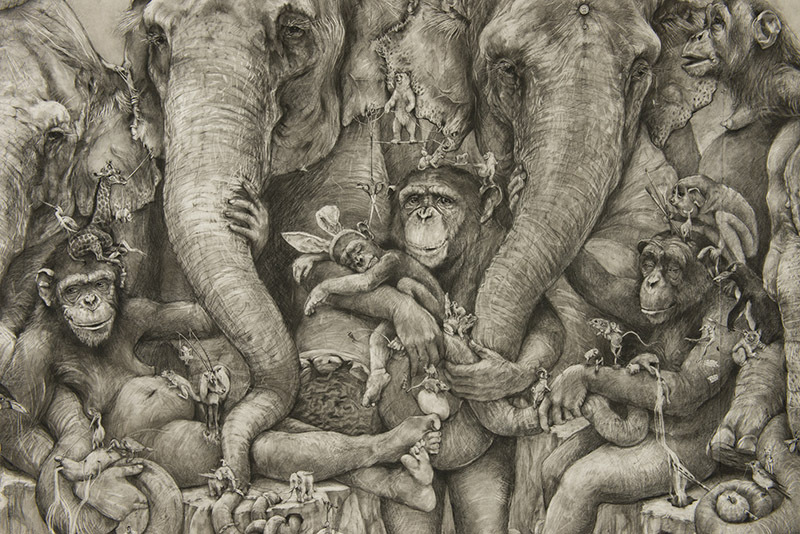 ArtPrize has become the world’s largest art competition by combining $560,000 in total prizes with an open call for artists, venues, and critics. 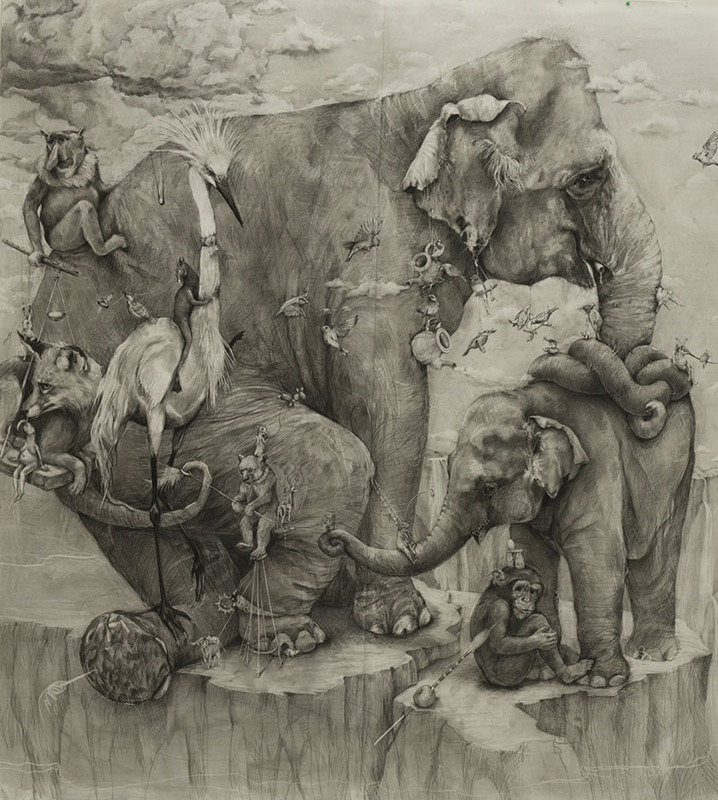 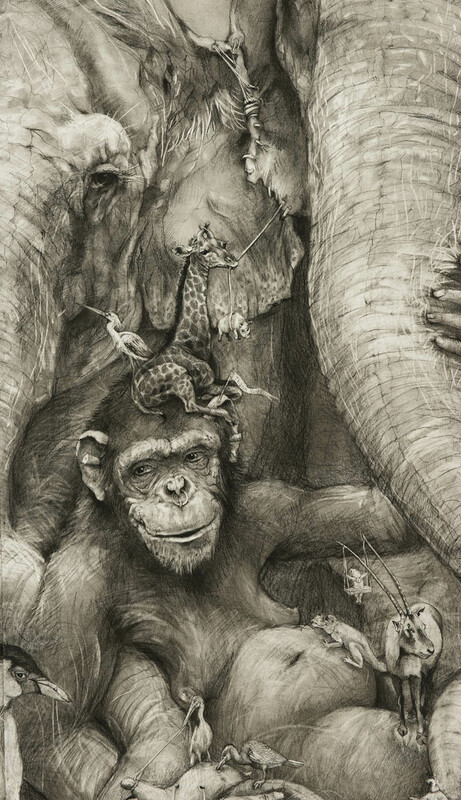 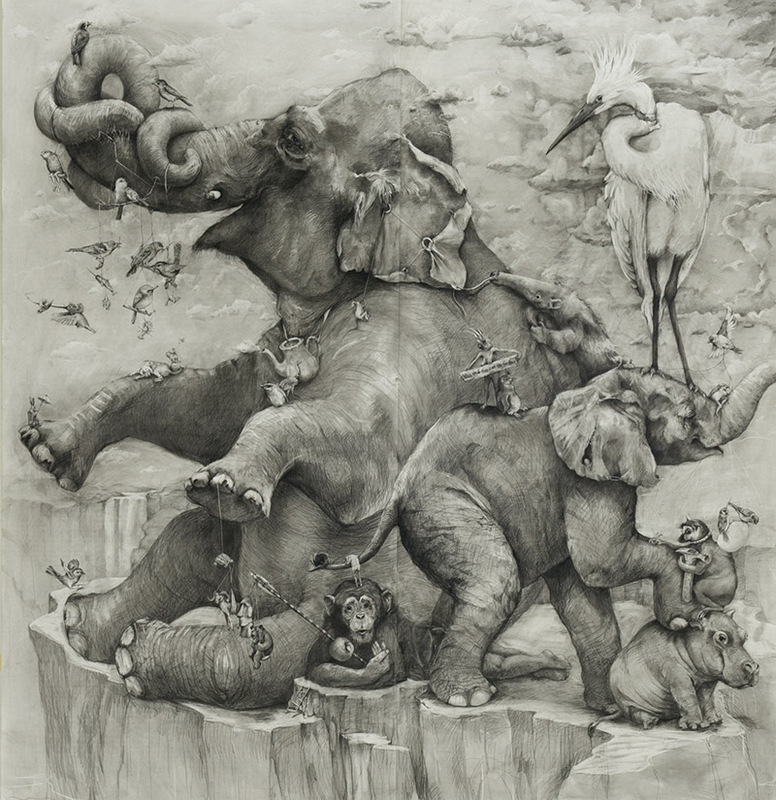 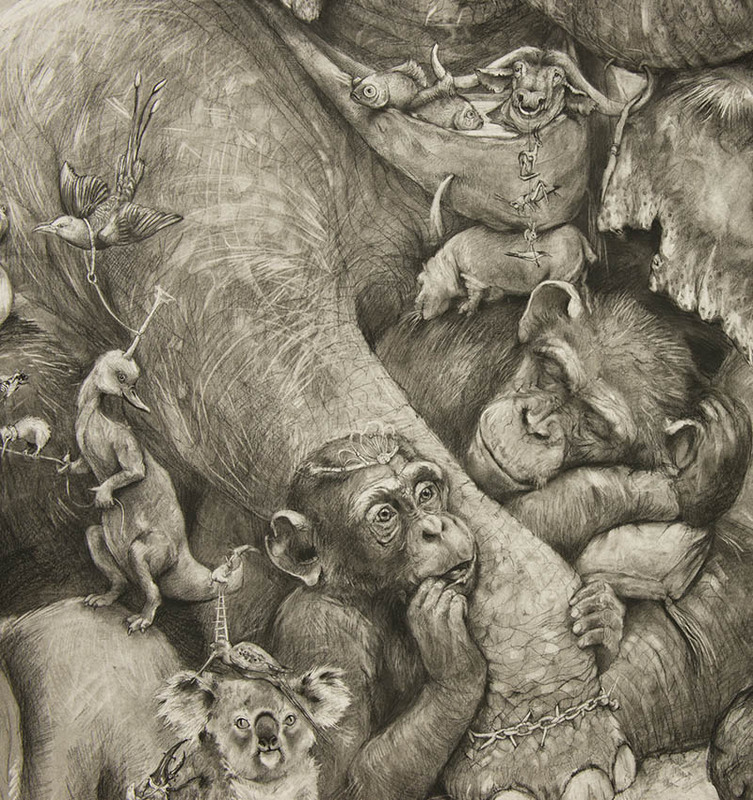 This year's first place winner, "Elephants" by Adonna Khare is an illustrated series of life sized Elephants, intertwined with a menagerie of animals. 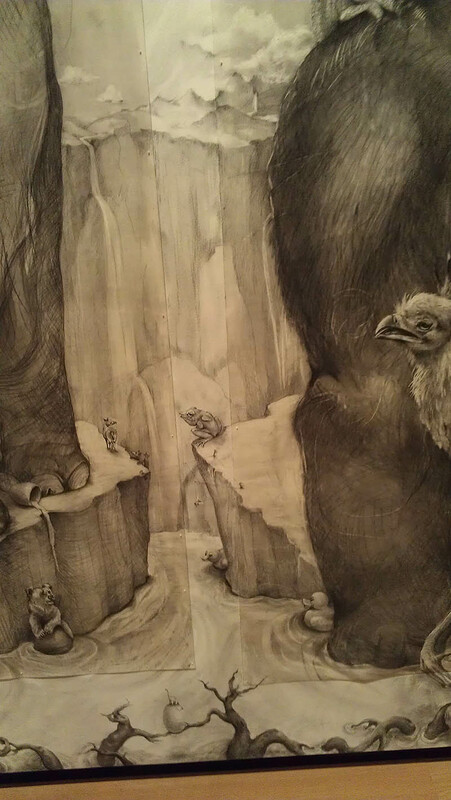 (Links to all the finalists are at the end of this post). 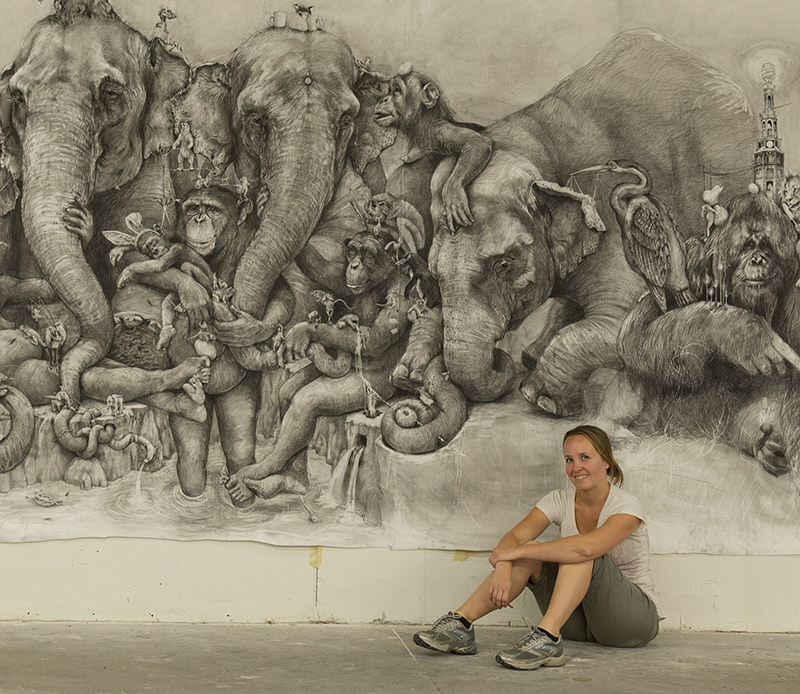 above: Adonna Khare and her winning piece, "Elephants"
The large mural was setup to function as a triptych and engage the viewers in the transformation of the work. 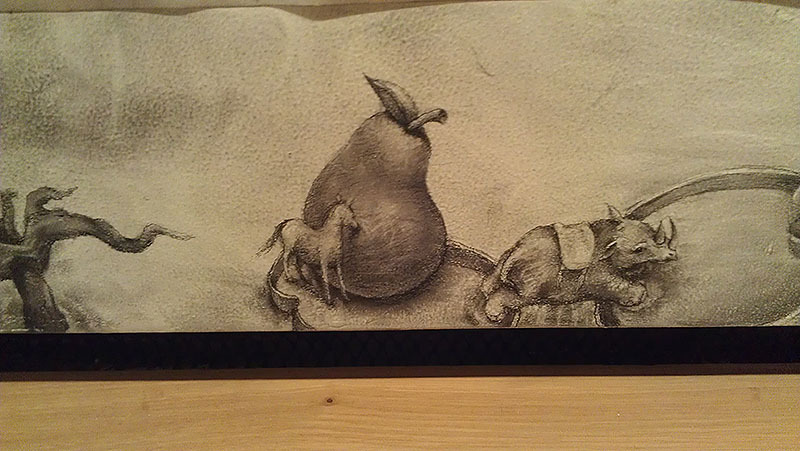 The triptych is still a work in progress. 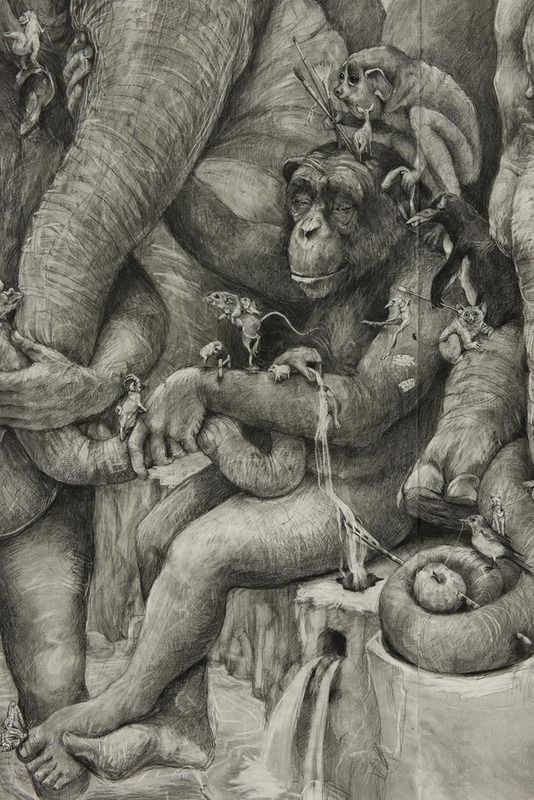 Below are many images and details from the piece (courtesy of the both the artist and ArtPrize). 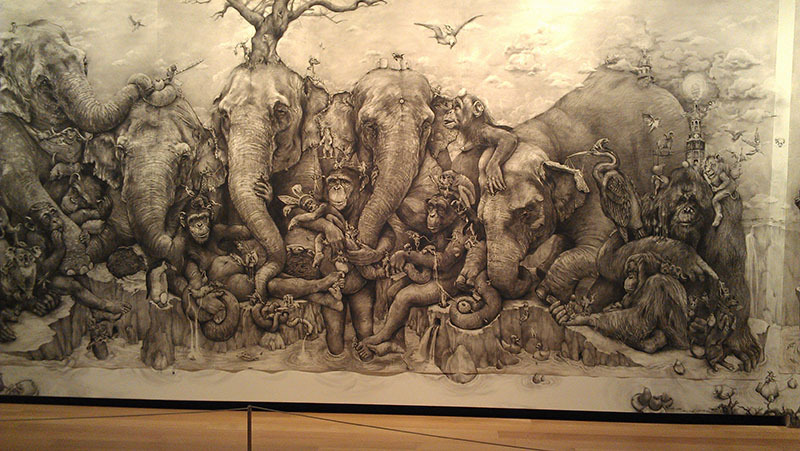 Permanent collection of the Long Beach Museum of Art as well as numerous private collections throughout the world. 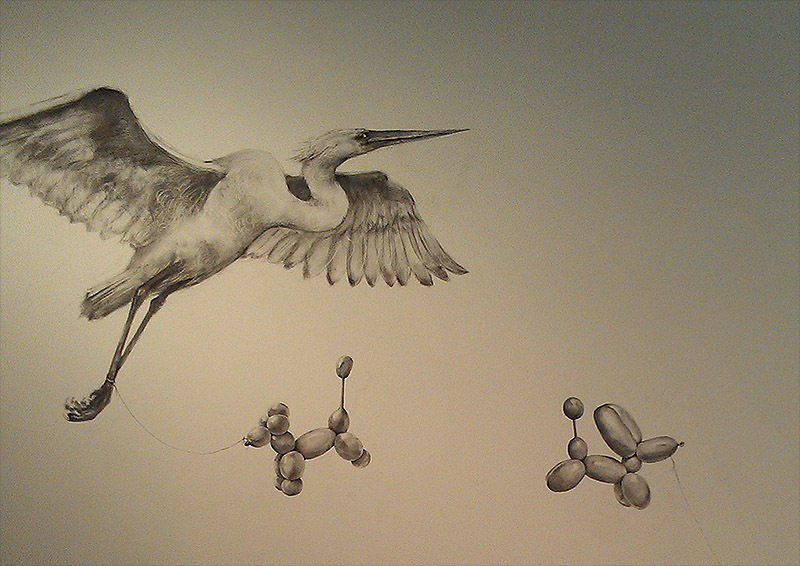 Member of The Drawing Center New York. 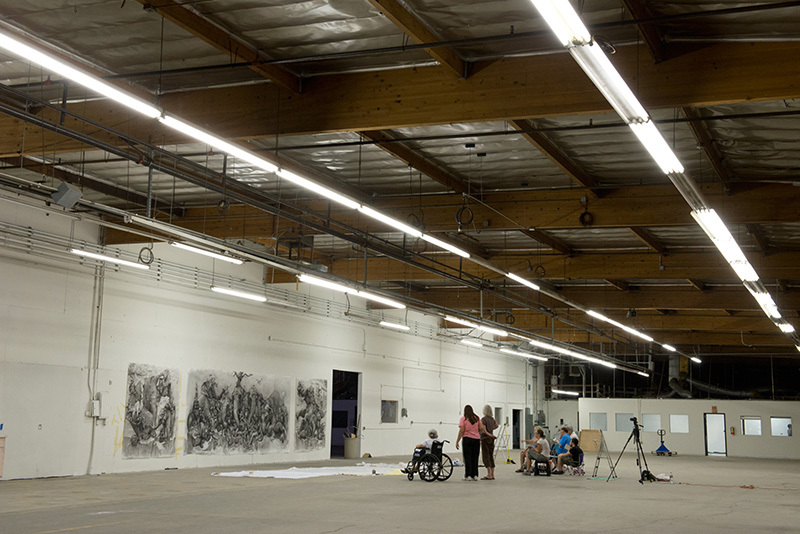 Selected works can be obtained from the Lora Schlesinger Gallery at Bergamot Station, Santa Monica. 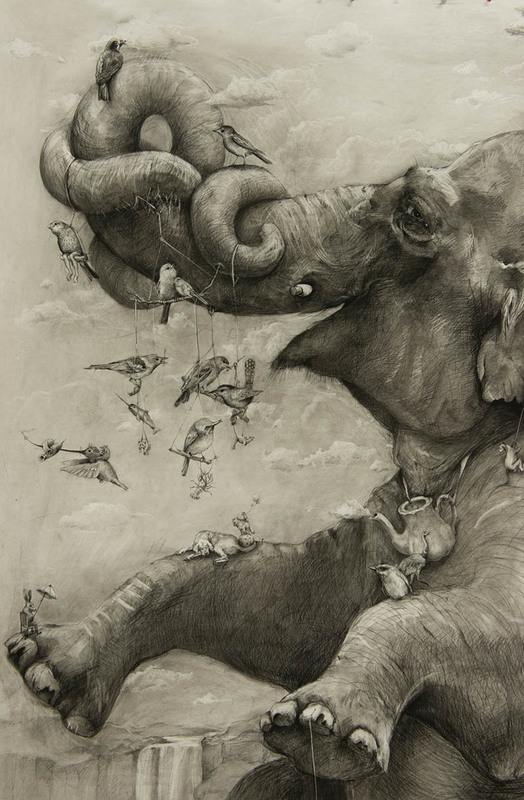 For a current pricelist please contact Adonna Khare. 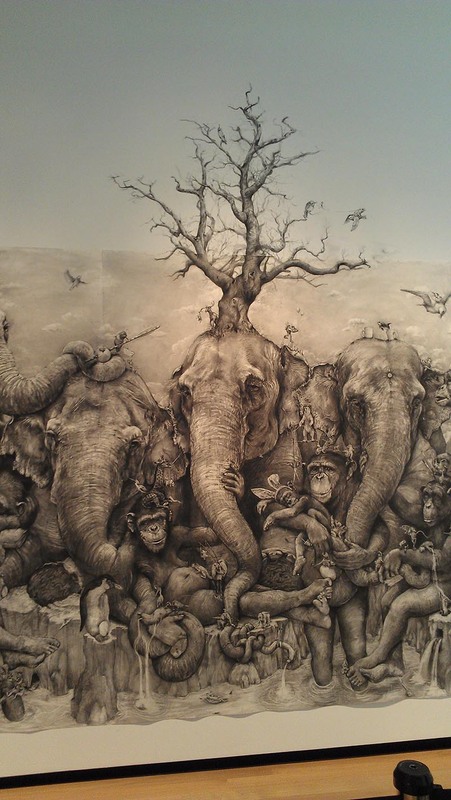 This is a really detailed piece of work. 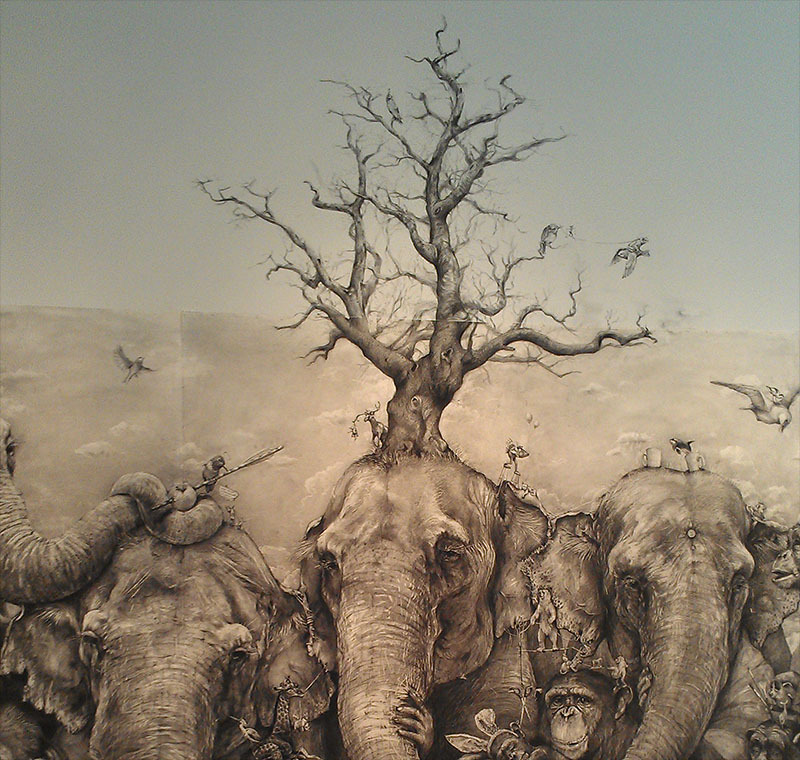 It brigs up a lot of emotions and is a lot to take in when you first look at it.